In this case, a patient attended her dentist to have a sore tooth extracted and she mentioned to him that she would like to have an implant put in its place sometime after the extraction. It was a complicated procedure but at the end, the patient was shown the tooth and told it had been fully extracted. She went back to the practice a week later to receive her temporary denture and complained that she was still feeling pain in the area where the tooth was extracted. The dentist assured her that this would pass. After about a month, the practice called her to come in for a follow-up examination. An x-ray was taken and she was told that a piece of the root was still in her mouth and that this would probably have to be surgically removed. She was also told that the extraction would be complicated and that she might have to wait up to a year before the site would be healed enough to take an implant. 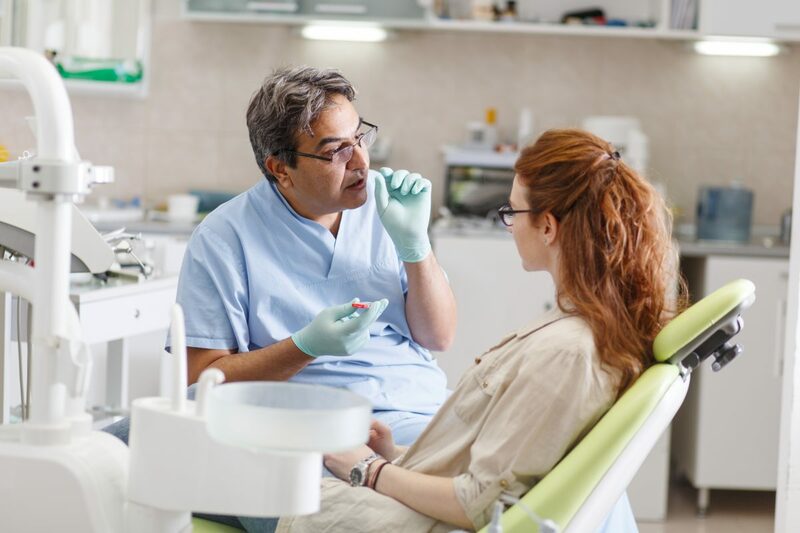 This information upset the patient as she had heard that the optimum time to get an implant was between three and six months after an extraction. She was referred to the practice’s oral surgeon who extracted the remaining root at a cost to the patient of €350. After the procedure, the surgeon said he hadn’t touched bone but part of the bone had already been extracted during the first procedure. Because of this, she was told that an implant might not be possible and that she would have to see a specialist. The patient contacted the DCRS as she was not happy, especially when she had to pay €350 to remove the piece of root. She asked the Service if there was any chance she would be able to get back the money she paid for this. She later requested that the dentist pay for a bone graft to facilitate an implant being placed in the spot where the tooth was removed. The dentist responded by explaining how in the first instance, what was meant to be a simple extraction turned into a surgical one. He said that he spoke to the oral surgeon who could not recall telling the patient that she wouldn’t be able to have an implant put into the site in the near future. The surgeon said he informed the patient of socket preservation procedures to enable future implant placement. The dentist and surgeon both told the patient that she should seek the opinion of a specialist that they would refer her to. The dentist said he hoped this would clear up any misunderstanding. He also agreed to refund the €350 she paid to have the leftover piece of root removed as a gesture of goodwill. He asked that if she had any further issues with the extraction site or any other problems, that she contact him and he would be happy to assist her. Engaging with the patient here and clearing up the misunderstanding was instrumental to resolving the situation.